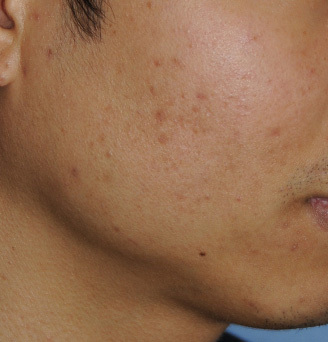 Below we Discusses Acne Topical Medications to Help your Active Acne. Also learn about our Unique 5-7 Step process that treats a variety of Acne Scars called the Acne Scar Vitalizer Treatment that is done in around 2 hours. Change those scars that you've had for so many years and feel better about yourself. Get real results. The topical treatments that Dr. Young suggests are discussed in our Detailed Acne Skin Care Regimen. We are going to explain in more detail why these topical treatments are good to start as one of your first medications to treat Acne. Start your at home peels on Sunday night once a week. Basically put it on and take it off immediately when you first start using at home chemical peels. You can then increase it by the number of times of week and how long you keep it on your skin. Just be careful not to burn yourself and cause scarring. If in doubt, just put it on and take it off immediately. 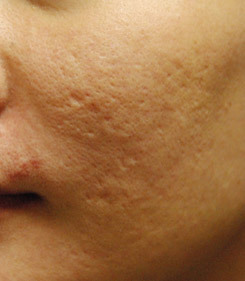 Don't put any skin products on after the chemical peel. Start these peels first and then add on Retin A and then Azelaic Acid and Dapsone respectively & slowly as tolerated. To approach specific pimples you can be more aggressive and apply the at home peels for 5-15 seconds daily as tolerated, this will attack the specific pimples that are more noticeable and advanced. Here is a video on doing the At Home Chemical Peels. Start the Retin A on Wednesday night and only do that once a week as well. You can increase that as tolerated and for each of the products you never want to put it on if you are ever red or irritated. Retin A can make you sensitive to sunlight so it should only be applied during the nighttime. 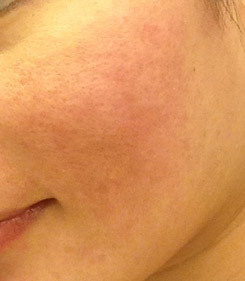 In addition, for some people using Retin A as spot treatments for active, more noticeable pimples is another technique that is useful and that you can try. Topical retinoids (Retinol Complex, Retin-A, Retinoic Acid, Adapalene, Tazarotene), retinoids are Vitamin-A analogues (variations) represent the backbone of acne treatment because they release mature comedones (Blackheads and whiteheads are a specific type of acne called comedones), reduce microcomedone formation, and exert anti-inflammatory effects. The 1st generation retinoid tretinoin (all-trans retinoic acid) and the synthetic 3rd generation polyaromatics adapalene and tazarotene are approved for acne medical care / treatment by the US FDA, whereas topically applied tretinoin, isotretinoin (13-cis retinoic acid), and adapalene are accredited in Canada and Europe. Topical retinoids are relatively safe. They safety profile are quite different from the toxicity / negative side effects of their counterparts that are used systemically (i.e. taken orally). Some side effects that can occur around the areas that you apply these topical medications include redness, dryness, itching, and stinging, occur often when you start the treatment. These reactions varies with the way the topical medications are prepared by the drug company, what type of products that are used to make the Retinoid, what skin type you are, the frequency that you use the topical medications (if you are applying it too frequently, not waiting until the inflammation and redness goes away with each application), the way you apply it (you shouldn’t use it when you skin is irritated or damaged, or right after a chemical peel that is medium depth or deeper), the use of moisturizers that you are particularly sensitive to, and environmental factors such as sun exposure or temperature (the more of each of these last two can make your sensitive to the retinoids). The broad anti-acne quality and the safety of using topical retinoids makes them a great first-line treatment in most types of non-inflammatory and inflammatory acne. They are also great as long-term medications, with no risk of inducing bacterial resistance (meaning that you can use them for long periods and not cause the bacteria to become resistant to the effects of the medication that can happen with antibiotics). They are great to continue when you have reduced the Acne to the point that your skin is considered normal and they are also great to continue after combination therapy, when you use other medications to attack really severe or moderately severe acne. How do retinoids work? Well, they first get into your skin cells and then bind to elements in your cells (nuclear receptors to be more detailed) and through this cause your cells to do things that benefit your skin and fight Acne. First, they cause cells to grow faster and shed faster. This decreases your chances that your hair follicles will become plugged by the slow growing and shedding skin cells. If you see below, the hair follicle has a sebaceous gland that exits right into the hair follicle tube / lumen / central tunnel. 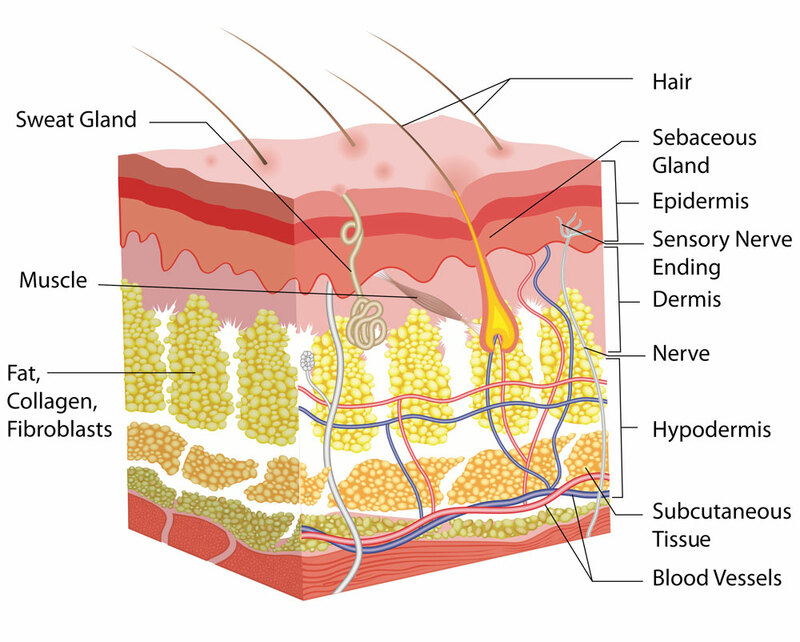 When the skin cells grow rapidly (usually due to the influence of testosterone on your skin cells which explains the benefit of treating your hormone levels in some way to benefit your Acne and skin) they can plug up the hair follice so that the sebum (the oils that help keep your skin moist) along with skin cells get plugged. This allows a particular bacteria, Propionibacterium Acnes to grow which loves a space that is low in oxygen with nutrients to feed off of, Sebum. This is the beginning of the pimple, however small, to begin. Retinoids keeps the cells from plugging up the hair follice. Second, the Retinoids also exerts anti-inflammatory effects by affecting your inflammatory cells to be less effective and exuberant. This decreases the reaction to the process and hence the propagation of the redness and swelling that can make things worse. How long does it take to work. Well you have to be patient. The initial effects take about 2-3 weeks to start. You start getting more significant changes at around 4-6 weeks. The maximal effects can take up to 3-4 months. So you have to be persistent! Depending on your skin type, you may want one particular type of retinoid. The first generation of Retinoids (retinol, retinal, tretinoin (retinoic acid, Retin-A), isotretinoin and alitretinoin) caused a lot of irritation, which made people want to avoid them. Also, Doctors didn’t really explain how to apply them. You definitely need to wait after each application of the Retinoid for all of the redness and irritation to subside before the next application. There are other formulations and variations of these topical Retinoids that are better tolerated. We have a formulation in our office that has a timed release that reduces this irritation Tri Retinol Comlex. 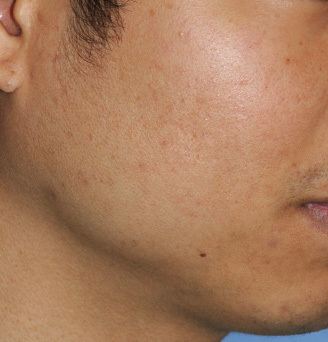 Many of these less iterative formulations are oil based (to put it simply, but are more complicatedly known as lipsomal encapsulated) Adapalene and other 3rd generation Retinoids (tazarotene , bexarotene and Adapalene) are also less iterative that make them particular useful in the patient with Acne. When do you want to combine Retinols with other medications? Well, it depends on how severe your acne is. The medications that Dr. Young will prescribe to you in addition to a Retinoid are Topical antibiotics, Oral Antibiotics, and Oral Isotretinoin, Accutane. Because of the possible cancerous changes that Benzoyl Peroxide can expose you to, we avoid using this medication. Clindamycin and Erythromycin are the two topical medications that we wil consider. Oral Doxycycline and Minocycline are the two oral antibiotics that we like to use. 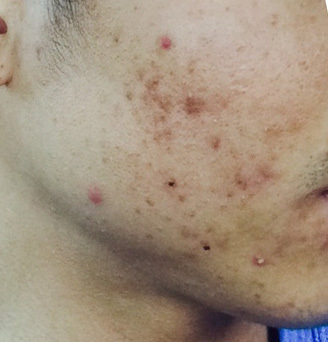 Both the use of the topical and oral antibiotics have been shown to be even more efficacious when used in combination with topical retinoids for certain degrees of Acne. [Am J Clin Dermatol 2008; 9 (6): 369-381].